KINGSTON-UPON-HULL, EAST YORKSHIRE, UNITED KINGDOM, January 24, 2019 /EINPresswire.com/ — Relmar Limited, the Hull-based Marine and Reliability Engineering support company, has been awarded a grant of over £200,000 and invited to join a new consortium by Innovate UK. The funds will be used to develop intelligent maintenance systems as part of the Digital Maintenance of Ships initiative, DiMOS. 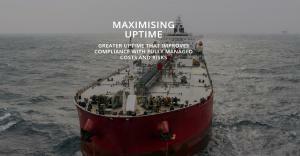 The DiMOS initiative is bringing together Relmar, Brunel University, London and three other specialist companies to create an intelligent system for ships that monitors equipment, looks for trends and patterns in the data, and advises what maintenance needs to be done. Ken Shakesby, Chief Executive and co-founder of Relmar, said, "We are thrilled to be part of the DiMOS consortium. As a Mariner myself, I understand how important it is to ensure the safety of ships by doing the right maintenance at the right time." Dr. Mark Horton, Chief Technical Officer, added, "This is a fantastic opportunity to use Relmar's MRCM technology alongside state-of-the-art artificial intelligence and machine learning that will make a real difference to safety at sea." 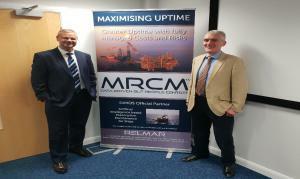 Relmar Ltd was formed in 2016 to apply RCM, the technology used to create optimised maintenance schedules for civil aviation, to ships and offshore installations, including Renewable Energy. The company provides training, consultancy and products that improve safety, environmental integrity and availability while at the same time minimising maintenance costs.